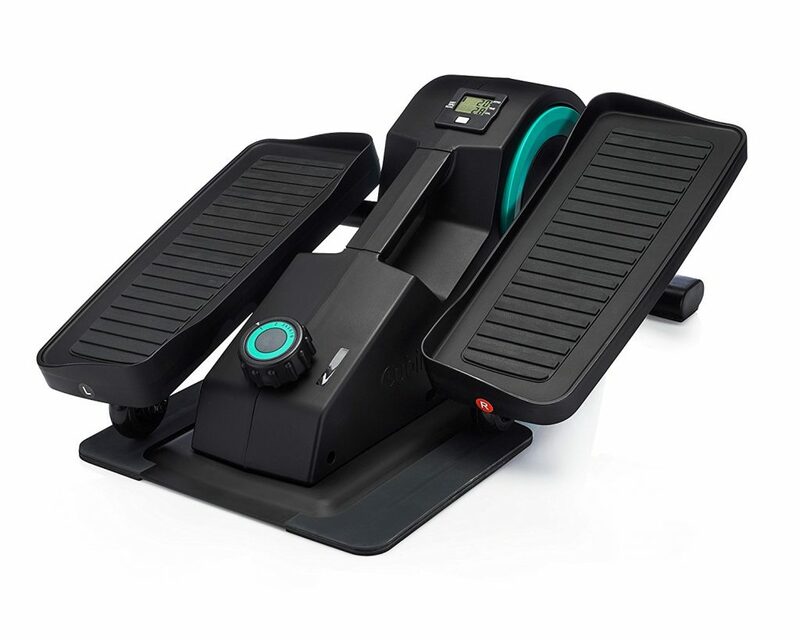 1 Why use a desk elliptical/mini-stepper? 2 What are the benefits of active sitting? 3 Why choose the Cubii Jr? 4 What is the difference between the Cubii Jr and the regular Cubii? 5 Can you get a good workout from a mini-stepper? 7 What do users say? The Cubii Jr is one of the most popular and sought after desk elliptical machines. 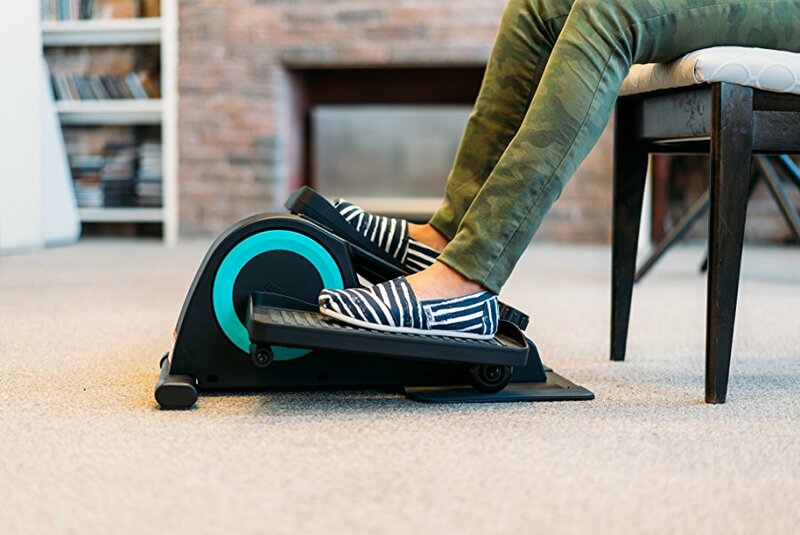 This mini-stepper offers a discreet yet effective way to exercise and reduce the health risks associated with sitting for long periods of time. The Cubii Jr allows you to exercise in privacy and comfort. This desk elliptical machine will help you improve your circulation, burn calories and be healthier and fitter. Why use a desk elliptical/mini-stepper? Most people say that they do not have enough time to exercise. With most of our days spent working, looking after family members and completing household chores, it can be very difficult to find an extra 1-2 hours to go to a gym or a fitness class. The desk elliptical can be used WHILE you work, read, use a computer or relaxing at home. It’s a real time-saver! What are the benefits of active sitting? Why choose the Cubii Jr? The Cubii Jr receives an outstanding 5-star rating on Amazon! The compact design allows users to move the Cubii Jr conveniently from one place to another. It sits under a desk easily offering a discreet workout. 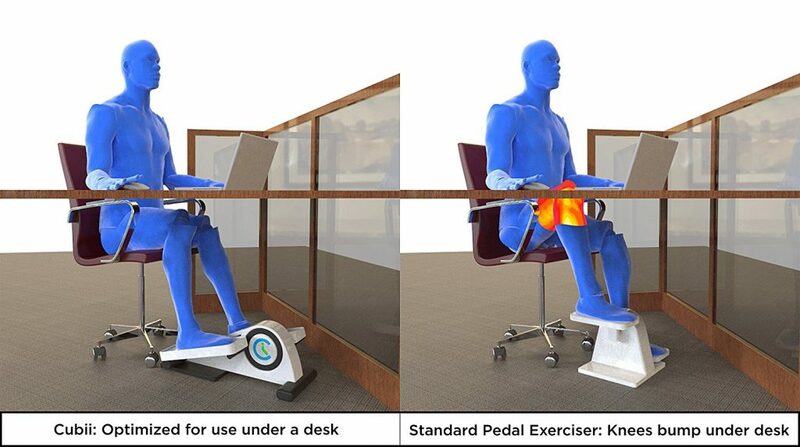 The ergonomic design helps users burn more calories than other ‘mini-steppers’ or ‘mini-cycles’. The Cubii Jr is ‘whisper quiet’. There are no annoying clunking or whirring noises to distract you or your collegues! What is the difference between the Cubii Jr and the regular Cubii? The regular Cubii is bluetooth enabled. This allows you to synchronise the data from the Cubii with an app on your phone. The app will show you your progress over time in addition to uploading the distance, calories and time spent exercising from your Cubii machine. You can compete with friends, colleagues and other users. Can you get a good workout from a mini-stepper? See here for our exceptionally popular article on the benefits of using a mini-stepper: Can you get a good workout from a Mini Stepper? Apart from the fact that the Cubii Jr doesn’t have bluetooth compatibility (to upload your data to the Cubii app), there are very few negatives to this amazing desk elliptical. Convenient, slick, durable and ergonomic. Avoid the long-term risk of sitting for long periods of time, with this simple, yet highly effective desk elliptical! A great compact machine that does what it says. It sits discreetly under your desk ready for use. When you have a few minutes its incredibly easy to fit in a quick workout while remaining at your desk. 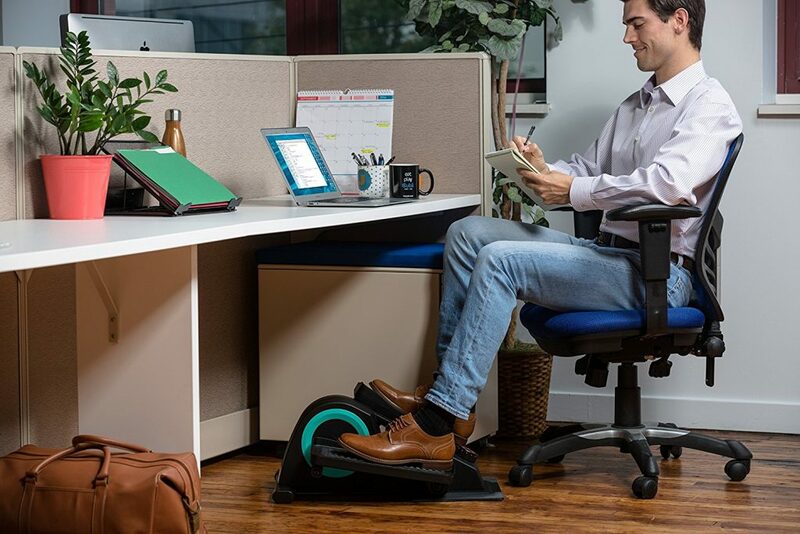 This is perfect for helping burn a few calories while at work, particularity if getting away from the desk is a challenge.